Welcome to the Frequently Asked Questions (FAQs) page for The Family & Learning Center in La Jolla, CA. Here you will find answers to our most popular questions regarding our educational coaching sessions, including the process, study sessions, center hours and holidays, and more. Where are Educational Coaching sessions held? Sessions are held at The Family & Learning Center, in the individual office of the Educational Coach. This allows for a quiet workspace, where necessary resources and materials are readily accessible. Are you able to come to my child's school or home? Depending on the school’s location, the work space provided and the Educational Coach’s schedule, we will occasionally travel to a school to work with a student. Sessions are not offered in the home environment, due to the many distractions students experience in the home setting. What materials should students bring and why? Students focusing on Study and Learning Skill Development should bring all of their books, binders, notebooks, planners and assistive technology (tablets/ laptops) to their sessions. Students learn to organize and prioritize their work, so it is necessary to have all materials available to use during session. Students also learn to review previous material from their class notes or their book before they start new assignments. In order to assist students in developing organizational and study skills, it is important that they bring all of their materials, not just the homework assigned for the evening. Students receiving Learning Disability Remediation will often work from resources provided by the center. The Director and/or Educational Coach will discuss with the student and parents if any additional materials should be brought to session. How often should a student come to Educational Coaching? Students focusing on Study and Learning Skill Development typically attend two to four fifty-minute sessions each week. Students in remediation programs for Learning Disabilitiu Remediation t often attend sessions for four to ten hours per week. The Director will assist parents and student in determining the appropriate number of sessions per week based on the student’s strengths, challenges, and goals. How long do students attend Educational Coaching? 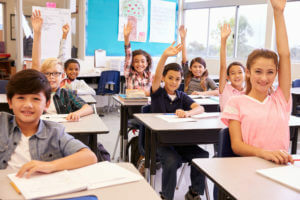 One of the goals of Educational Coaching is for students to become independent and take control of their own learning.They come to view themselves as competent learners who have a repertoire of strategies to use that are based on their unique capabilities and challenges. Students vary in the amount of time needed to achieve independence. Regular communication between the Director, Educational Coach, parents, and teachers allows for tracking the student’s progress towards independence. Students in remediation programs for Learning Disability Remediation often have a recommended number of hours needed to complete the program. However, adjustments to the pace of teaching will be made based on the ongoing review of the student’s progress by the Director and Educational Coach. Parents are updated about the student’s progress on a regular basis, and written progress reports are sent home approximately every ten hours of instruction. How is time spent during sessions? For students completing a remediation program for Learning Disabilities, a program plan and agenda is designed by the Director and Educational Coach which includes the specific activities and materials selected for the student. During the session, the student will complete brain training activities and learn new metacognitive strategies. Students focusing on Study and Learning Skill Development will often start their sessions by discussing each class or subject. The student will complete an “After School Refresher” in which they reflect on what they learned in class, what homework they have, and what tests/ projects are coming up. The student and Educational Coach then plan their session according to priorities and goals. Special attention is given to preparing for long-term projects, essays and tests. The work that students do during the session is based on their learning goals. The focus is on learning and understanding the information, not on getting through the assignments. If an assignment is not finished in session, students leave knowing how to complete the work at home. For example, a student who needs work in reading comprehension can read a portion of his/her history chapter in session. Reading comprehension strategies are introduced and practiced by using the textbook. The student will complete the rest of the reading at home, using the strategies s/he learned with the Educational Coach. Before leaving the session, the Educational Coach and student create a plan for how the student will finish the remainder of the homework, studying, and projects for the evening utilizing the tools learned in session. What does the price of coaching include? Educational Coaches typically spend fifteen to twenty minutes per fifty-minute session completing instructional preparation in order to make their time with the student most effective. Additionally, the Director is continuously monitoring the progress of each student by reviewing student notes, parent and teacher communication, and meeting with Educational Coaches on a weekly basis to discuss each student’s progress and modify programs as necessary. Due to the one-on-one nature and customization of our services for each student, we are unable to provide refunds or credits for missed or cancelled sessions. How long do I have to make up a missed/cancelled session? The make-up session must be held within 30 days of the missed appointment, and expire at the end of the Academic Year. Are you closed for holidays? The Family & Learning Center works with students from a variety of schools throughout San Diego County , each with different school holidays. In order to best manage the schedule and maintain consistency for all of our students, we have elected to close for all Federal Holidays, with the exception of Columbus Day. This includes: New Year’s Day, Martin Luther King, Jr. Day, Washington’s birthday, Memorial Day, Independence Day, Labor Day, Veterans Day, Thanksgiving Day and Christmas Day. Sessions will be scheduled as usual for all other dates, with the exception of Thanksgiving weekend (Wednesday through Saturday) and Winter Break (Christmas and New Year’s weeks). Are you closed for Spring Break? Due to the number of schools our students attend, we are open during Spring Break and continue to have regularly scheduled sessions. If your child is away during this time and must cancel sessions, please refer to our make-up policy. Are you closed for Winter Break? During the weeks of Christmas and New Year’s, The Family & Learning Center’s regularly scheduled sessions are suspended and the office operates on limited hours. However, we do offer sessions to clients interested in continued services during the break. To arrange sessions during this time, please contact the office. Can I pick my child’s coach? Coaches are selected by our Educational Therapist, Bonnie Weiss, based on the student’s academic and emotional needs. We welcome requests for coaches based on gender or other preferences you may have. In the rare event that the Educational Coach and student do not work well together, we will happily re-assign your child to a different coach. When do summer sessions begin and end? How can I support my child at home after their session? Your child’s Educational Coach will give you regular updates about your child’s progress either in person after session, via email or phone. During these discussions we will share the strategies, tools and skills your student is learning and give suggestions you can use to re-enforce what they’re learning at home. In addition, we send reference cards and sheets home with students regularly to help them in between sessions. My child has not been assessed but I see he/she is struggling. What do you suggest? During our complimentary consultations, we discuss the struggles you’ve noticed. In some cases, we conduct screenings with your child to get more information. Once your child is working with us, we carefully monitor his/her progress. If we have reason to believe your child needs to be assessed, we will provide you with referrals from our trusted provider network.